Back-to-back-to-back-to-back SUNDAY & MONDAY NIGHT winners. Yes I will boast about a 4-0 record in the past 2 weeks in the prime-time games. Even after bad starts and let’s be honest here, 5-8 in the last two week for the top picks is not what I’m shooting for, but we kept you in the game and hopefully made up some ground with our prime-time picks. However, all was not melancholy in the end! We picked the Eagles and Titans and got two big wins after a less than ideal start to our Sunday. We did it the previous week with the Patriots/Ravens double-whammy and we did it again this week. We’ve battled back and made up a ton of ground going into Week 12. Why do the statistical analysis when a kickoff return, a turnover, or even a crucial penalty call will determine the outcomes of at least 67% of these games against the spread. Let’s just roll with it from the gut. So now I give you a more condensed version of our weekly picks without all the garbage and some “fearless” predictions. I also throw out about a half-dozen teasers that I like more than the actual spreads. When Aaron Rodgers plays the Detroit Lions, it’s like he’s playing a video game. I’m counting on at least 350 yards from him and at least 2 TDs and maybe even 3 or 4. As long as he doesn’t throw any INTs or the Packers fumble away the football, I think you can expect the Packers to cover. The Packers offensive line is always a concern, but the Lions don’t generate pressure. Look for Aaron Rodgers to throw darts all over the field. With Stafford unlikely to play and Calvin Johnson questionable (game-time decision), you don’t have to worry as much about GB defense that can give up a significant amount of points, so I’m in favor of giving up the points here to take A-Rod. If Calvin Johnson and Stafford are out, which is likely, I think you’re safe with taking the spread or you could also tease the Packers down to -3.5 and tease the under to 54.5 (or over 40.5 if you expect the Lions to put up some points). Also keep in mind, DE Kampman and CB Al Harris are both out for the season for the Packers. So much for the Cowboys putting up a lot of points at home. Just 7 points against the Redskins. I don’t like this spread since the Cowboys have been held to just 7 points in their last two games and I’m not expecting the Raiders to do much with the football either. After the Raiders topped the Benglas last week, I’m entertaining the idea of taking the 13.5 points here, but it’s the Raiders on the road and that could mean a 31-0 loss. This spread is in the no action category, but for the sake of Thanksgiving, I’m going to throw out another teaser that I think you’ll find end up in the money. Although I have very little confidence in since a Raiders loss by 21+ will not shock me a single bit, I think you can take the Raiders +20.5, but I’m expecting a big Cowboys win at home against a crappy road team on their big Thanksgiving Day game. Add the points to the Raiders (hopefully the spread moves to 14 so you can get 21), or take the Cowboys at a mere -6.5, and count on the Raiders and Cowboys to play defense and limit the amount of points in this one. Injuries to note: TE Witten and CB Jenkins are questionable for the Cowboys. I doubled down on the Chargers last week when they announced QB Kyle Orton would be out and that gave me a big boost last week. Not only is Orton on a bum ankle, but Brandon Marshall is banged up (neck and back) and was held to less than 30 yards last week. With the Denver’s QB and their best WR ailing, I’m in favor the Giants. Since I’m always about “what have you done for me lately,” I would like to point out that the Broncos are 0-4 in their last four games. Update: With RB Ahmad Bradshaw out, LB Antonio Pierce out, WR Hakeen Nicks questionable, and OG Seubert questionable, I am slightly less optimistic about the Giants having to travel out west on a short week to win this game. I’ll stick with them, but a little “buyer beware” on this one. Brady Quinn got the deep ball going last week, but lost to the Lions 38-37 in a wild one. The good news is that the Browns held the Ravens to 9 offensive points when they played them on Monday night. The Bengals win games close. I’ll take the 14 points here. It’s just too many. Fearless prediction: Bengals win by 10 after being up by 17 and the Browns score a garbage TD with 4 or 5 minutes left in the game. Instead of playing the spread, I like the Browns starting the game with a 21-0 lead and having to score just 33 total points in order to cover. The Browns should give up at least 20 and should be able to muster at least 13 here, of if the Bengals win 31-10, you’re still in pretty good shape! The Browns lost to the Bengals by the score of 23-20 earlier this season. I’m an Eagles fan, so I cannot pick this game. I would not take the Eagles as 9-point favorites after seeing the fight the Redskins put up last week against the Cowboys. You can count on the Eagles to win — obviously. They dominated the Redskins earlier in the season, but it’s later in the season in a tough division game. This one could be close, which will make me throw out another teaser for this game. I think you can win this one no matter what way you tease it: Take Eagles -2 or Redskins +16 and Over 33.5 or Under 47.5. I think you will have 4 winning tickets for all 4 combinations. The Dolphins running game just cannot be stopped — Ronnie Brown or not. The Bills are one of the worst teams in the league against the run, ranked 31st to be precise. Fitzpatrick is garbage, despite throwing to T.O. for over 150 yards last week (Jags were without CB Mathis) and will struggle against a better defensive unit. Dolphins runs on the Bills with ease. I never like to bet on the Colts vs. Texans games because the Texans always play the Colts tough. For example, in their last game in Indianapolis, the Colts won by 20-17 and the Texans covered when they were given 7.5 points. Before this spread came out, I was fully expecting the spread to be Colts -6.5 and I would have like it there, so I obviously like the -3.5 spread. In order for me to consider taking the Texans, I would want at least 7 points. We saw a less-than-dominant Titans team beat the Texans, so I don’t think Manning will have any problems winning this one and I expect him to win this one by more than a field goal. Dwight Freeney will be out for the Colts, which is a big blow. Both teams are pretty week, but the Seahawks find it easy to pass on teams with poor secondaries like the Rams. The Rams have been solid against the spread lately (4-1 ATS in their last 5), but that’s when they get double digits. This looks like an easy cover for the Seahawks. The Rams have been coming on stronger lately, but Seahawks have won the last 9 meetings between these two, including a 28-0 W from earlier in the season. QB Bluger will be out, which means Kyle Boller takes over and the Rams’ 1st-round draft pick OT Jason Smith is questionable — that can’t be good for the Rams. C Richi Incognito, DE Leonard Little, and FB Karney are also all questionable for the Rams. The Seahawks defense is shaky though and this game has upset alert on it. Last time I checked, Mark Sanchez is still throwing approximately 2 INTs per game. The offense is in a rut and with NT Kris Jenkins out, teams have been able to run the ball on them. I’ll take DeAngelo Williams and that Panthers running game in this one. The Falcons have a lot of issues on defense as they give up a ton of yards. Last week the Bucs went back to their old ways of getting killed, but in the two weeks prior to that, they covered against the Dolphins and beat the Packers. Fearless prediction: The Falcons win this one by 10 and the Bucs cover by 3 points. I’m not very high on the 49ers. They struggle offensively and were only able to make the Packers game look close since the Packers D slacked off after they had the 23-3 lead. The Jaguars are shockingly in playoff contention in the AFC and I’m loving MJD right now. This one should be a tight game, so I’ll take the 3 points on the team that actually has a legitimate shot to make the playoffs. With two straight wins over the Steelers and Raiders, the Chiefs aren’t looking as pathetic as they started the season. But with WR Dwayne Bowe still out, I don’t count on their luck to continue again this week, especially when they’re not playing in Arrowhead. The Chargers are getting hot and they just gave the Broncos the business. I think they cover in this one, but they sometimes lack that “killer instinct” to demolish the teams that they’re supposed to. I.e., only beating the Raiders 24-16 a few weeks ago. This is way too many points in order to take the spread, but I don’t see this game playing out any other way than the Chargers crushing the Chiefs. I think you tease the Chargers down to a nice 6.5 points and take the under since the Chiefs shouldn’t score much. I really don’t know what to do here. The Titans have come on strong, winning 4 straight under the reigns of Vince Young and looking like a playoff-caliber team. Warner is probable for this game and the Cardinals have been playing excellent on the road (5-0). DE Vanden Bosch is questionable, which is a huge blow for the Titans defense. The Cardinals are 6-1 in their last 7 and 5-2 ATS in that time. I think you have to stick to the Cardinals here. No one has been able to stop their passing game. The spread hasn’t been released due to Roethlisberger being questionable with concussion-like symptoms. 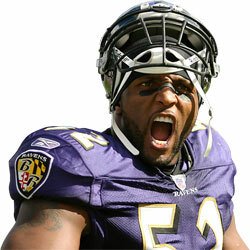 Regardless of whether he’s in this one or not, I like the Ravens at home on Sunday Night. They nearly topped the undefeated Colts last week and the Steelers lost to the Chiefs. With Roethlisberger almost concussed following cracking his head open in a motorcycle accident about 2 years ago, I want him in the game in order to take the Ravens. If Roethlisberger plays, I think that’s a plus to take the Ravens since his head won’t be 100%, and he’ll likely throw a ball or two to the purple (or black) jerseys. So Jay Cutler is playing like Mark Sanchez now. Missing open receivers, throwing picks, and just generally sucking as whole. I was wary of taking the Vikings -10.5 last week against the Seahawks, but the Vikings rolled over them with ease. The Bears are in a funk. They won’t be able to run the ball against a tough Vikings front 7. Cutler has been inaccurate in the passing game. The Bears defense has been spotty. The Vikings should put up their usually 30-31 points and the Bears should be held to less than 20. I like the Vikings. Fantastic Monday Night game to watch. Tons of scoring, lots of lead changes, not a good game to bet one, last team with the ball will win. Good luck trying to figure out who that will be. The spread on this one has moved from Patriots +3 to +1.5, so the public took the chance to jump on the Patriots with the 3 points. * Subject to change following the release of additional spreads. ** Be warned that I’m betting against 4 home underdogs, which is not a good sign, but that’s not going to discourage me from I think are the best games this week ATS. *** I actually like all of my teasers better than the 4 spreads, but that’s why they’re teasers. 8-Team Moneyline Parlay (6 Favorites, 2 3-point Underdogs) — 26-1 ODDS — Packers, Cowboys, Vikings, Chargers, Colts, Dolphins, Jaguars, Panthers. I’m counting on all the favorites to win and if the Jaguars can pull off the upset against the 49ers and the Panthers can top the Jets, this could seal a huge win. I think this is something you can place a very, very small bet on for fun and see what happens. A teaser is when you take 2 or more teams or over/unders and reduce the spread by 6, 6.5, or 7 points or add 6-7 points to a particular spread, and they all have to hit. You can take Packers -3.5 and Vikings -3.5 and reduce those spreads from 10.5, but both games need to cover to have a winning ticket. Instead of pairing teams together, I paired the game with the over/under. Calvin Johnson and Stafford are both questionable at this point so I think you might need to take that in consideration. and by the way I decided to do a 7 point tease with your 5 picks. And I think I have just the thing to help the good week come again. Hold on, who is in your teaser card? I would actually prefer the first card, but like the individual games listed due to the low spreads. Did you get a number on the Ravens game yet? I haven’t seen it yet. Thanks for the heads up on Calvin Johnson. I could care less about Stafford. Daunte Culpepper is capable of putting up a solid game against a sometimes shaky Green Bay defense if Calvin plays. I edited the pick to Packers -10.5 as a 2.5/5 bet if CJ is inactive. Instead of taking the Packers -3.5 and the over 40.5, I would take GB -3.5 and under 54.5. Pick a Score: 34-13, 34-20, 31-23, 27-23, 30-24, 35-17, 38-14, 45-7, 41-13 — All of ’em are in the money! So why would the bookie want to do that? Wouldn’t a persons chances of winning increase dramatically? It appears that it’s a disadvantage to the bookie and a benefit to the bettor, but it’s actually the opposite. That’s is why it is a TEASER. You are teased into thinking you have a better chance of winning. However, if you had the Bengals -2.5 or Steelers -3 in your teaser cards last week, you got burned. You also have to pay more “juice” for a 7-point teaser. For a 2-team teaser, instead of wagering the normal 110 to win 100, you have to wager 130 to win 100. Vegas, I am in on the 8 team parlay you put out there…. I like fun, and I like money. So, $10 to win $1700. Let’s see how we do. Whoa.. the odds are 24-to-1. A $10 bet would win $240. Did you add the Browns moneyline in there or something? Ohhhh, I see what you did. Did you take Cowboys -13.5, Chargers -13.5, Packers -11, Giants -6.5, Vikings -10.5, Dolphins -3, Jaguars ML +155, Panthers ML +155? THAT has 170-to-1 odds! I don’t know if you’ll get all those covers, but for a mere $10, why not role the dice on that one. Vegas Martin, alot of my friends were wondering how come alot of the odds in the NFL games and the results are almost identicle and only separate by half a point? I can only think of those people that comes up with those odds as either being psychics, or some of the popular games are fixed by the really high rollers. Can the NFL be controllered by Las Vegas? Mark, I am playing all those games in my parlay without the points, just straight up winners. I replaced the Giants with the Colts due to the Ahmad Bradshaw being out and better odds with the Colts. Vikings, Packers, Chargers, and Cowboys should all be locks straight up, so I’m pretty much just betting on the Colts, Dolphins, Panthers, and Jaguars to win those games, and I like my odds. I think this ticket comes down to the Jaguars and Panthers. I’ll need 2 big road wins for this to hit. That’s why I was confused. Deez Nuts, I have no idea what you are asking. Are you asking why all the casino’s odds are within a half point of each other? Well that’s because they act in concert. The lines will vary by 0-1.5 points between each casino based on the action that they’re seeing on that particular game. You’re never going to find a line at -3.5 at Casino A and -7 at Casino B. Like I said, 67% of these games against the spread will be determined by something like a kickoff return or a fumble. If you took the Packers -10.5 or -11.5, it looks like that fumble on the first kickoff of the game that gave the Lions a short field that led to 7 points will have you on the edge of your seat the rest of the game. Don’t forget the missed field goal from maybe 30 yards that cost GB another 3 points. 2 down in and covered the spread. 6 to go. Sorry the Giants busted your card. I put up a little buyer beware notice late last night since I had a feeling that the Broncos were just due for a win, especially being at home on a short week. After I looked at the Giants injury report, I was less optimistic in the Giants chances. I took the G-Men out of my parlay and replaced them with the Colts, so let’s see how that works out. Hopefully you were able to cash in on our Packers teaser, Cowboys teaser, or Thanksgiving Special Teaser. I read your analysis on the rams and seahawks game so I know where you stand. How much do you think the hawks playing their third consecutive road game will effect them? Also a west coast team traveling and playing an early game. I know the Rams are not very good, but they have been playing better lately, even with Bulger out. And the hawks haven’t exactly looked like a championship team. I normally don’t bet on bad team like the rams, but I thought these two things might give me a shot at a team that has a good shot at a mini upset as well as decent value. Thanks for the continuing advice. I’m not touching this game personally. The only spread that I am taking right now is Miami -3 and sticking to the teasers that I brought up. So far I’m 2-for-2 on the teasers. I am counting on the Vikings at -3.5 and Chargers -6.5 for Sunday. For the sake of calling the game, I’m sticking to the Seahawks, but putting a big fat UPSET ALERT on it. By no means would I consider betting on the Rams with their backup QB and left tackle injured and possibly out. I know not to touch bad teams, just something I noticed and thought I’d get your opinion one more time. Thanks again. Good thing I kept you away form that one. It’s been a mixed week so far in the NFL. Some wins, some losses, but we’re doing OK. Thanks for talking me down from that Rams game. In hindsight I’m not sure what I was doing. Stick to the rule “bad teams are still bad teams.” Took your advice on tonight’s 7 point tease also had a decent run with the vikings and colts. Enjoy a couple cold ones on me. My premature analysis for next week SD (-13) against Browns. Browns offense is horrendous. VM… i am kind of confused on why you played a lot of teasers…. i mean i guess nothing is wrong with it…. but all of those thanksgiving games were easy money….. no need to tease and risk extra juice… but hey you won so it doesn’t matter i guess….. also.. my bookie is awesome with teasers… you dont have to pay juice… and you dont have to actually buy the points…. however obviously you have to play 2 plays like the spread and the over/under or you have to tease two games like a parlay…… he gives you six points either way… its pretty sweet and i have busted him for money occasionally. Thanks for the beer livinitup, I appreciate it. That Ravens game got the W, but it had me cursing at the TV on several occasions. Thank you Paul Kruger and Ray Rice for being amazing! I wouldn’t have been surprised if the Ravens waxed the Steelers 27-10 due to the rookie QB’s first start, so I couldn’t go with Steelers +14.5 although that would have made the game a bit more relaxing. Allen, why do I like teasers? Because I dominate them and I don’t mind the extra juice. If you teased Boise State and Pitt like I did, you won, but if you took BSU and PITT with the spread you lost. In the NFL, my Cardinals pick over the Rams last week lost by a single point. If you teased it with another game, you won. Same for the Packers, they didn’t cover by a half a point, but if you teased the Packers and Cardinals together, you had an easy win. After 1 too many bad beats in the NFL by a half point or 1 point, I found that going with teasers has been working for me and that’s what I will continue to do. No more messing around with double-digit spreads when you can just take two home teams like the Vikings and Chargers and knock those spreads down and pair ’em together for an easy win.